Find out your life balance by assessing the main areas of your life. 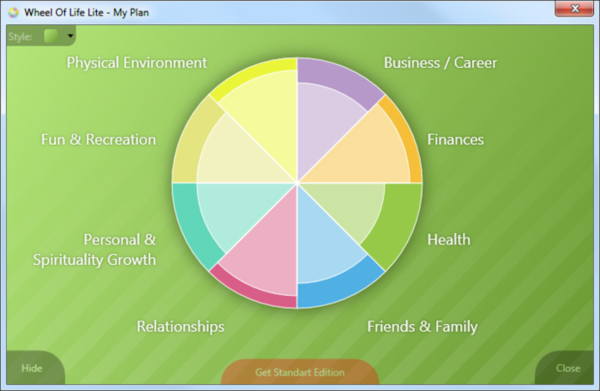 Wheel of life is a simple and yet incredibly powerful tool that allows to maintain the taste of life while staying productive. Wheel Of Life Lite helps you to easily determine how balanced your life is by glancing at the main areas of your life.